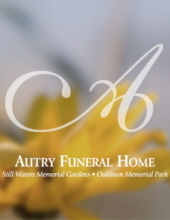 A funeral service for Clarence Barnette, age 92, of Jacksonville, is scheduled at 2 o’clock in the Friday April 12, 2019 at Autry Funeral Home Chapel in Jacksonville. Bro. Ray Morris will officiate. Mr. Barnette will be laid to rest at Bullard Cemetery. Clarence was born May 9, 1926 in Bossier City, Louisiana to the late John W. and Mae (Collins) Barnette. He passed away Tuesday, April 9, 2019 in New Caney. Mr. Barnette served in the U.S. Navy during World War II. He was stationed at the naval base at Pearl Harbor the day of the attack. He was a life member of Trinity Valley Church and VFW of Piney Woods. He was also a trail riding member of the Trail Riders Association. He was preceded in death by his wife, Dorothy (Lee) Barnette; son-in-law, Billy Patton and his brothers and sisters. Left to cherish his memory is his daughter, Carol Patton of New Caney; brother, Charles Barnette of Austin. He is also survived by numerous grandchildren and great-grandchildren; and one great-great granddaughter. Visitation will begin on Thursday, April 11, 2019 and friends are cordially invited to visit with Barnette family from 5 to 7 o’clock in the evening at Autry Funeral Home, Jacksonville. "Email Address" would like to share the life celebration of Clarence Barnette. Click on the "link" to go to share a favorite memory or leave a condolence message for the family.